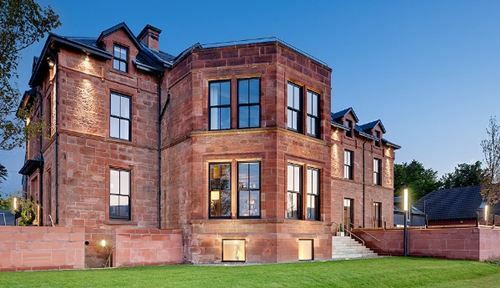 The beautiful Douglas Hotel, located a stone's throw from the ferry terminal, is the focal point for the village and a superb base for the discerning traveller. 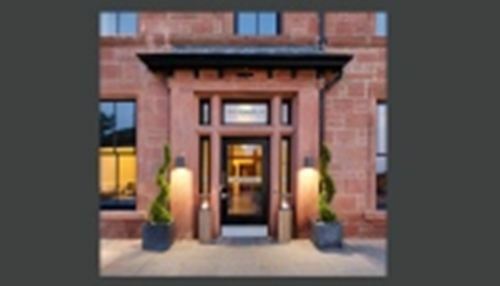 Offering a personalised level of service in absoute luxury and comfort, the knowledgeable Douglas Hotel staff will ensure access to the huge variety of activities available on Arran, whether they be sporting, cultural or historical. 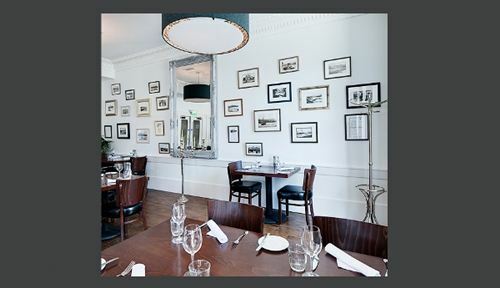 "Spacious, light-filled bedrooms decorated in a contemporary style… classical French dishes with slight modern twists." 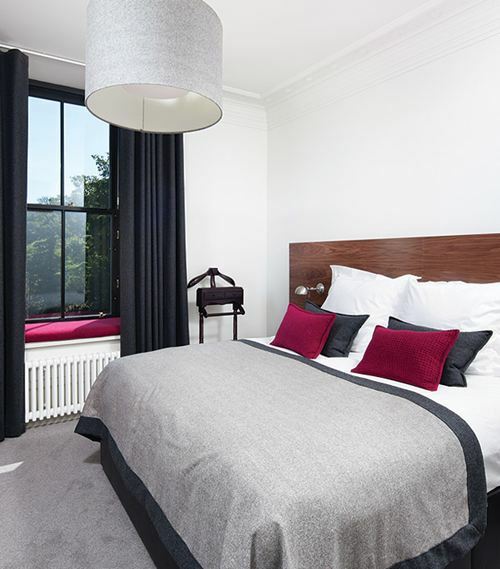 Our deluxe Double/Twin room is the standard room, which is individually decorated in a modern, stylish and luxurious manner which is accented by specially chosen furniture of the highest standard. Super-king size beds are draped in the finest Egyptian cotton to ensure that your sleep is as peaceful and luxurious as your surroundings. The rooms have a generously sized bathroom which consists of a large bath with over hanging shower & excellent lighting, to fulfil all of your pampering needs. Each room is adorned with a local photographer's work which is inspired by the beautiful surroundings in which the hotel is situated. The executive Double/Twin room is greater in size and with a superior view compared to our standard double. It is also individually decorated in a modern, stylish and luxurious manner which is accented by specially chosen furniture of the highest standard. The super-king size beds are draped in the finest Egyptian cotton to ensure that your sleep is as peaceful and luxurious as your surroundings. 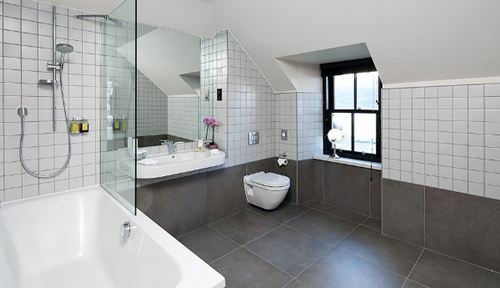 These rooms have a generously sized bathroom which consists of a large bath with over hanging shower & excellent lighting to fulfil all your pampering needs. Each room is adorned with a local photographer's work which is inspired by the beautiful surroundings in which the hotel is situated. 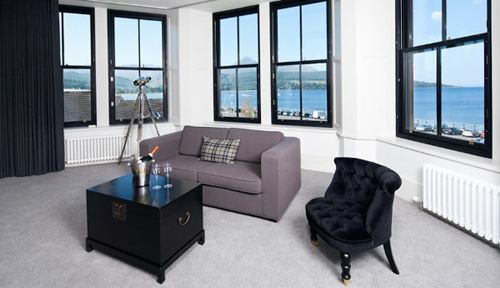 Our Executive rooms also have stylishly comfortable seating arrangements for that moment of quiet reflection, or perhaps to soak in the views. Each room is adorned with a local photographer's work which is inspired by the beautiful surroundings in which the hotel is situated. 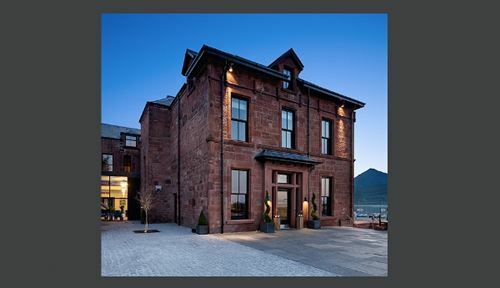 Our two suites offer 180 degree breath taking panoramic views over Brodick Bay & Goat Fell. They are incredibly spacious & individually decorated in a modern, stylish and luxurious manner and include a distinctly stylish seating area with unique and individually selected pieces that add to the elegance of each suite. The super king size beds are draped in the finest Egyptian cotton to ensure that your sleep is as peaceful and luxurious as your surroundings. Our Suites have a very generously sized bathroom which consists of a large bath with over hanging shower & excellent lighting to fulfil all your pampering needs. Each suite is adorned with a local photographer's work which is inspired by the beautiful surroundings in which the hotel is situated. 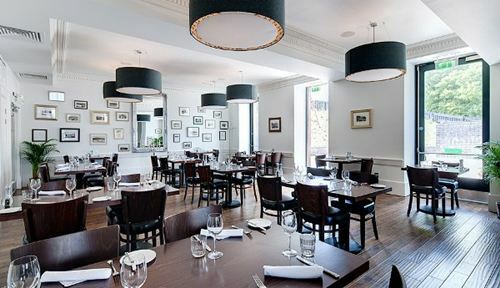 With its rustic-chic style, The Douglas Bistro has a refreshing simplicity but a serious intent. 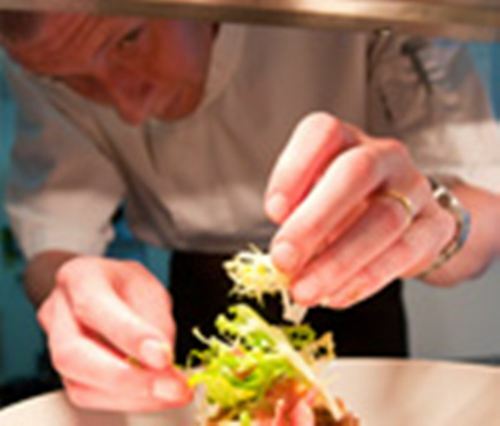 The cuisine is honest and straightforward in style, bold and hearty in flavour. No fussy preparation or pretentious artistry, just thoughtful and skillful use of good quality produce. The menus are seasonally driven and make use of home-grown or locally-sourced ingredients, with a contemporary twist on flavoursome classics. 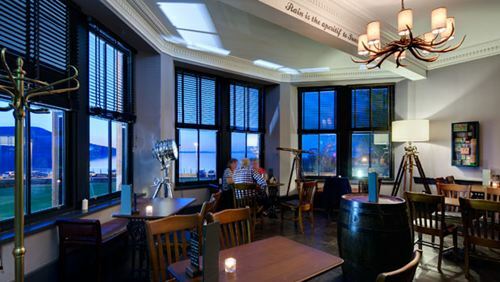 The Douglas Bar is essentially a celebration of all things Scottish. The extensive whisky list is continually evolving and now boasts many fine malts, all available by the nip and to be enjoyed in homely and personal surroundings. For those wanting something a little more refreshing, the Douglas Bar offers delicious cocktails, fine wines, champagnes and spirits from around the world.